KM Designs is known for innovation and excellence in creative cabinetry design. Providing one of a kind reliable service; imagination, expertise and experience come together to create top-notch cabinetry for all areas of the home. KM Designs mends knowledge of styles, and trends into your unique reality. Projects reflect a wide array of styles, budgets and sizes, ranging from additions, complete remodels and new home construction. brooksBerry & Associates Kitchens & Baths caters to those who appreciate excellence in design by offering true handcrafted, bench-made custom cabinetry with a full range of services. Because we have degreed and certified interior designers specializing in kitchen and bath design, we are well versed in design trends, state-of-the-art fixtures, appliances, lighting, countertop materials, and wall and floor surfacing materials. We are also master space planners who will make your cabinetry and room work for you. May we suggest that you allow yourself the pleasure of a leisurely visit to our St. Louis studio-showroom? Appointments are not necessary but always appreciated. Remodeling a home in St Louis? Find an UltraCraft dealer near you! Foxcreek Furniture and Woodworks, Inc. Cabinet Solutions is a leading replacement and cabinet refacing company providing outstanding service to residents and businesses in St. Louis, Ballwin, Belleville, Chesterfield, Ellisville, Fenton, Harvester, St. Charles, and St. Louis County. 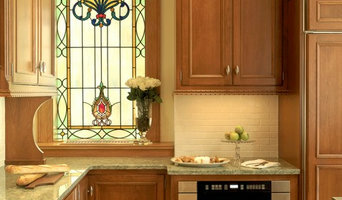 Our team of professionals has vast experience in the cabinetry field. We work tirelessly with our clients to achieve the look they always imagined. We invite you to look through our Gallery page for ideas on how we can revitalize your kitchen, bath or office. At Cabinet Solutions, we have a solution for every budget! Call today for an appointment! 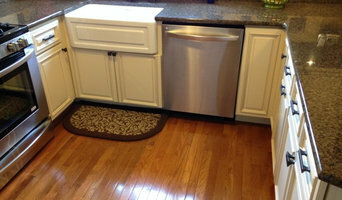 Duenke Cabinet Company is your one stop shop for home remodeling. Dealer and manufacturer of cabinetry, in-house installers, and certified designers. Our Company is a dealer and manufacturer for several lines of custom and stock wood cabinets in many styles and colors. We can coordinate the job by offering complete installation by our own personnel including plumbing, electric, lighting, flooring, and appliances. Alternatively, we can assist you with your layout measurements and selections for jobs not installed by us. We also have our own cabinet shop where we make most of our countertops and manufacture our Covenant Cabinetry line. Offering Custom Cabinetry, Stock Cabinets, Ready to Assemble Cabinetry, Granite Counter Tops, Laminate Counter Tops, Cabinet and Closet Organizers, Cabinet Door/Drawer Hardware and Garage Cabinets since 2006. Architecturally Designed Cabinetry can design the kitchen of your dreams, from concept to completion. Your newly designed kitchen will provide your family with a lifetime of enjoyment while increasing the value of your biggest investment - your home. At Architecturally Designed Cabinetry, we ask all the right questions so that your new kitchen turns out exactly the way you imagined it. Whether you envision a kitchen that is modern or traditional, bright and inviting or dimly lit and elegant, loaded with features or sleek and streamlined - our team will make your dreams a reality. The kitchen is the heart of a home, and every home deserves a custom kitchen design. Work with a company that understands the balance of form and function like no one else does. We take the time to walk you through all of the options - from the big projects like your cabinets, flooring and countertops to the smaller selections like the fixtures, exhaust and kitchen appliances - making sure you are armed with all the information to make the right decision. A custom kitchen design is a big undertaking that should be trusted to a company that has the experience to make it all come together seamlessly. Welcome to Classic Cabinet Company, a custom and semi-custom cabinet boutique where we build cabinetry and remodel kitchens to make a difference, not only in the homes of our clients but also in the lives of our community. When you come into our showroom, you won't encounter "just another salesperson," you will meet Jim and Tammy, the company's passionate founders and you will receive one-on-one, personalized service. When you choose Classic Cabinet Company for your kitchen remodeling or custom project, you receive personal service from the design concept through to your dream kitchen, no matter how large or small. Please call us to schedule an appointment in our boutique showroom. We look forward to working with you! You can learn about our community outreach efforts through More Than Carpentry Christian Ministries, a 501(c)3 charitable organization founded in 2005 to serve our neighbors. Here at St. Louis Cabinet Warehouse, you're more than a customer, you're a neighbor and getting to know Joe is at the heart of that philosophy. Joe's been in the cabinet business for close to a decade and while that may not seem like a long time, the time it took him to realize his passion was much less. He is a native of the St. Louis area and is committed to serving the community. 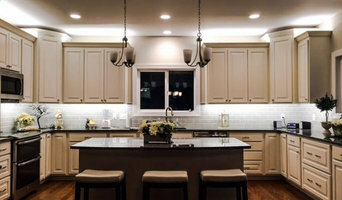 Connecting homeowners with their dream kitchen and bath cabinets starts with an understanding of your problem. Not enough storage? Non-traditional room shape? He can help and w ill take the time to listen, confirm and solve your challenges. Kitchens and bathrooms are the heart of your home. Joe takes the time to make sure it's done once and done right so you can move onto enjoying your new space as quickly and hassle-free as possible. 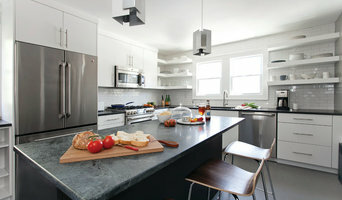 We help you with a Kitchen Transformation that's Better than New with high quality cabinet refacing. David and Stephanie’s adventure in the home remodeling industry started almost 20 years ago when they met working together at Home Depot. Their first house was bought in 1999, a 100+ year old “fixer upper” in South St. Louis City. They jumped in doing almost all the work themselves and never looked back. David became a Real Estate Appraiser and Broker, and with partners, began to invest in and rehab other homes for sale and rent. David did the business of buying, selling, and some of the rehab work while Stephanie designed kitchens, baths, and color schemes. Unfortunately, the downturn in the real estate market during the recession forced them and many others out of the rehabbing business. Luckily, their entrepreneurial and creative spirit never died. It just changed forms. While working at FedEx, David began Cross Creek Woodworking, LLC, building wood furniture and decor with Stephanie helping with design and painting/finishing. Stephanie, while being a stay at home mom with three children, in 2011, channeled her artistic expressions into a successful online Etsy shop, TrueVineTreasures.etsy.com, where she creates personalized keepsake boxes. This passion for renovation has now expanded into a kitchen cabinet refacing company dedicated to providing custom cabinet design through cabinet refacing. Stephanie’s education is in interior design. In addition to her business operations, she has held positions as a kitchen designer, kitchen install manager, and countertop sales. David has a business degree, and past experience includes commercial printing customer service and sales, residential and commercial real estate sales and appraisal, retail paint sales, and FedEx courier. David and Stephanie live in Crestwood, Missouri, with their three school age children and dog, Pepper. They spend a lot of time as shuttle drivers to football practices, Boy and Girl Scouts, church, and school events. They have been active Cub Scout Leaders, and are active volunteers and leaders in their church. Show Me Granite is an Award Winning, full-service stone contractor providing quality service to residential/commercial clients. *Authorized Waypoint Living Spaces Dealer* Riverbend Kitchen and More (RKM) specializes in the design and construction of kitchens, baths, and bars, and the utilization of casework and architectural millwork for the enhancement of all areas of your home. Working with you, we integrate high quality workmanship with state-of-the-art products for a perfect blend of form and function to provide a value-driven design that encourages your own image and lifestyle. We offer a wide array of products and services to enhance your space, and the experienced staff: 1) to help you design the layouts for your cabinets, furniture and accent pieces that will occupy that space and 2) to select the color palettes and fabrics necessary to complete your vision. While focusing heavily on cabinets and countertops, RKM can provide turnkey options for your project, a one-stop shop for everything needed to outfit your new kitchen, bathroom, wet bar, office or entry area. We started Cabinet Clad Kitchens in 1975 to give homeowners like you a better, more affordable alternative to traditional kitchen remodeling. By using the cabinet refacing process as the basis for our kitchen remodeling projects, we are able to cut the time, cost, and inconvenience of these projects down dramatically—while producing exceptional, "brand new kitchen" results. The kind of results that have turned thousands of Missouri and Kansas homeowners into satisfied customers. Integrity, quality, courtesy, and professionalism are the hallmarks of working with Cabinet Clad Kitchens, and your complete satisfaction is guaranteed. In addition, Town and Country, MO cabinetry pros can help you give worn or dated cabinets a makeover. They can replace doors; add glass inserts, decorative moldings and other details; or give cabinetry a new coat of paint or specialty finish. Your cabinetry professional might work closely with a Missouri kitchen designer, builder, remodeling contractor or interior designer. Here are some related professionals and vendors to complement the work of cabinets & cabinetry: Kitchen & Bath Designers, Kitchen & Bath Remodelers, Interior Designers & Decorators, Closet Designers and Professional Organizers, Woodworkers & Carpenters. Find a cabinetry professional on Houzz. Narrow your search in the Professionals section of the website to Town and Country, MO cabinets and cabinetry. You may also look through Missouri photos to find examples of cabinets that you like, then contact the cabinetry professional who worked on them.